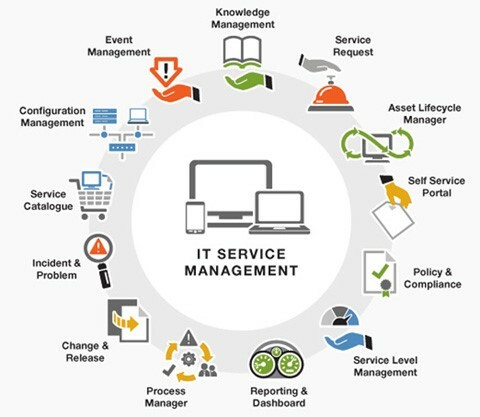 Service Desk minimizes the cost of downtime to the business by providing clients with a single point of contact for all technology incidents and requests, maximizing resolution on first contact through our proprietary troubleshooting process capability, and managing all escalated incidents and problems through to resolution. Our Service Desk operations are delivered through a consistent set of tools and processes providing efficient and cost effective IT Services to our customers. Our IT Service Desk and integrated infrastructure and application operations support team acts as one single entity instead of silos. This provides a single handle, in terms of control, to our customers and also leads to significant cost-savings. Primary IT service to easily log and track incidents to meet end user demands at minimal business impact. We are experts in implementing and supporting Information Technology Infrastructure Library compliant Service Desk for organizations ranging from small to enterprise organizations. GIS’s Enterprise Service Desk helps you to realize a significant impact on your service desk productivity and end user efficiency. Through a proactive approach, we address not only escalating issues in service desk delivery, but also identify and prevent recurring issues thereby providing true value to you through reduction of average incidents/calls per device. Our extensive reporting helps improve understanding of issues and hence better service levels. With GIS taking care of your enterprise service desk, you are certain to experience the benefits of improved efficiency, 24×7 availability and greater control over your IT costs.